Considerations During the Constitution of a Company in El Salvador? The first step of the company constitution process in El Salvador is to define the company name. It is important to ensure that your desired company name is not already taken, or that there isn’t a company with a similar name. This search can be done with the Commercial Registry. During the registration, you will need to select at least three options for company names. Please note that all the documents must be duly registered. In the event that the shareholders are foreign companies, the documents should also be apostilled. Once all of these requirements are met, the company will be able to obtain its Tax Identification Number (RUC). Once the RUC has been obtained, the company constitution is complete and the company can begin commercial activities. In regards to company capital, the minimum amount required to start is USD$2,000. At least 5% of the capital must be paid at the moment of the constitution of the company, with the remaining to be paid within the following year. 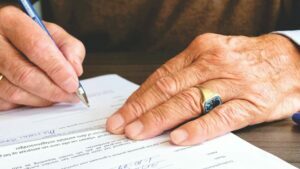 In the event that the shareholders cannot appear before a public notary for the constitution of the company, they can grant a power of attorney to an individual to constitute the company on their behalf. The company will need a corporate purpose; it is common for a legal entity to have between (1) and (3) principal purposes. There is no limit on the corporate purposes, as long as they are related directly to the principal business activities of the company. The company can be administrated by a Board of Directors or by a Single Administrator. The Board of Directors must be established by at least two persons and one substitute. The Single Administration is formed with one person and his/her respective substitute. The Single Administrator is the only person who can act as the legal representation of the company. Every Company in El Salvador is required to have a Commercial License. The purpose of the license is to establish that the company is owned by the shareholders and has the ability to engage in commercial activities. Without the license, the company cannot legally operate in El Salvador. This licence must be renewed every year and must be signed by the legal representative or by a third party who has been granted a power of attorney to renew the license. The company financial statements are legal obligations that every company must present at the moment of its registration in addition to at the end of the fiscal year. The financial statements must be elaborated by a public accountant. Do You Want to Do Business in El Salvador? With all the requirements and permissions required by law, establishing a Company in El Salvador can be difficult if you do not have a local partner. 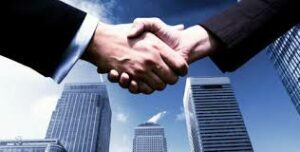 Biz Latin Hub provides professional services, tailored to the needs of it´s clients. The team has ample commercial, legal, financial and tax experience in El Salvador. If you have any questions, please do not hesitate to contact us at [email protected].